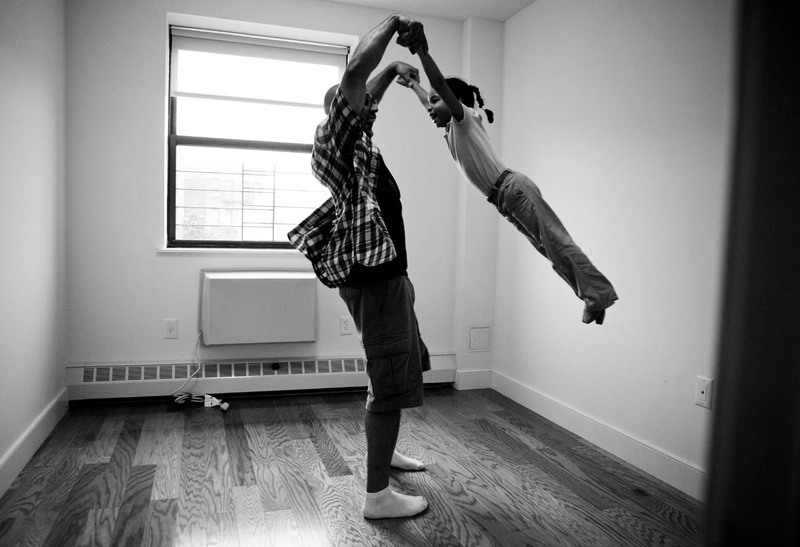 Ricardo Vasquez plays with his daughter Freedom (4) in their family's new condominium at St. John's Residences in Ocean Hill-Brownsville, Brooklyn. These four-story buildings with 2 and 3-bedroom condos were built on three vacant lots, which had previously been neighborhood eyesores. Partially funded by Federal NSP2 funds, they were dedicated on September 15, 2012.